ROUTE: The Return of Bert Thomas Swim is an 18.8 mile swim as measured by the shortest straight-line route between the starting and ending points. The start location is Old Town Dock on Ruston Way in Tacomca, WA. 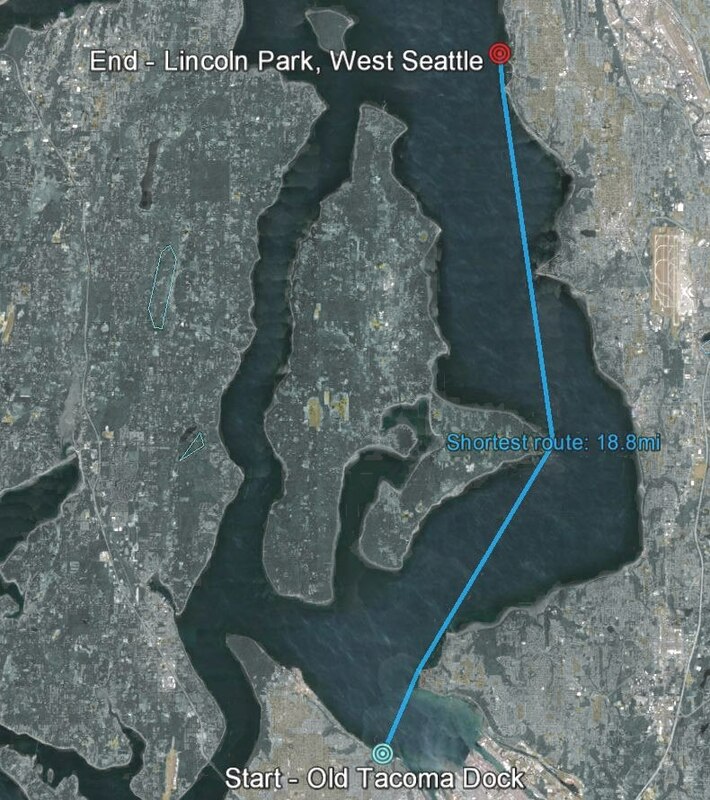 The anticipated finish location is between Lincoln Park, West Seattle near Colman Pool and the Fauntleroy Ferry Terminal. RULES: The swim will follow MSF Rules with no exceptions taken for non-standard equipment. OBSERVER: The swim will be observed and documented by Dan Robinson, a Triple Crown marathon swimmer (EC 21 Jul 2014, CC 8 Sep 2008, MIMS 24 Jun 2006).